UNITED FOR FITNESS. 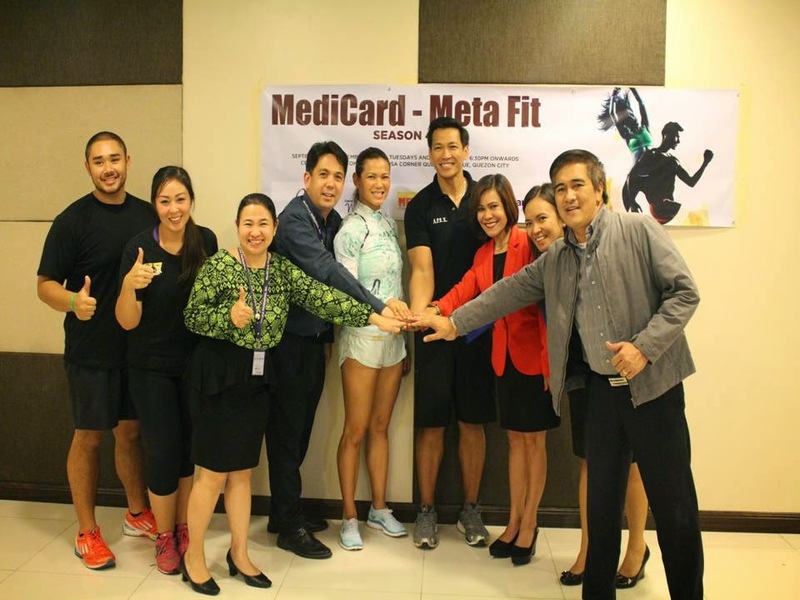 Medicard Philippines, Inc. in partnership with Eton Centris, Quezon City will hold the Season 4 of Medicard-Metafit Fitness Boot Camp. (L-R) Motivational coaches Raffy Tan and Hazel Chua, Kate Joaquin, marketing manager, Medicard Phils. Dr. Nicky Montoya, president, Medicard Phils. Inc., Coach Toni and Coach Jim Saret, Maria Victoria L. Santiago, AVP, Centris Operations, Dra. Jaen Castillo, center head, Medicard Philippines and. Engr. Melencio Silvestre, operations manager, Eton Centris. 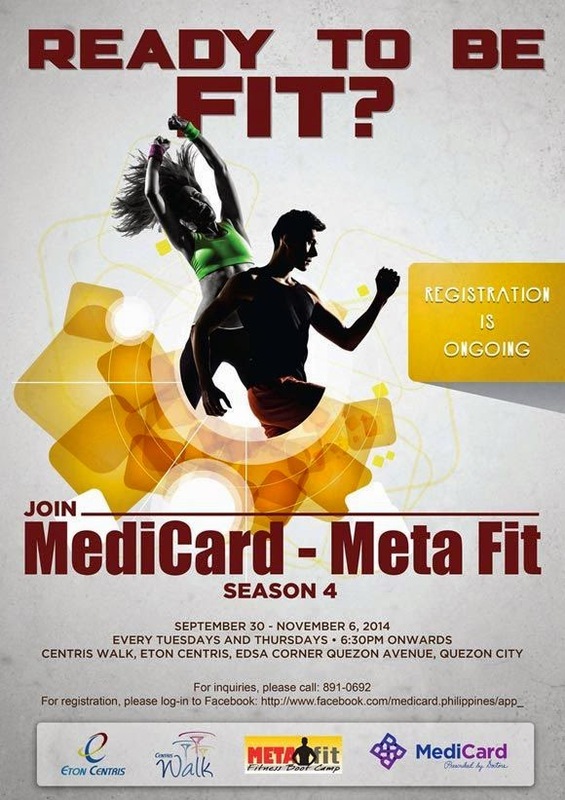 Quezon City, Philippines – Medicard Philippines, Inc., a leading HMO provider, caps the year with Season 4 of the Medicard-Metafit Fitness Boot Camp at the Centris Walk, Eton Centris in Quezon City, beginning September 30, 2014. This is part of Medicard’s mission of encouraging the public to live healthier lifestyles. "It is our privilege and pleasure to the partnership with Medicard in this Fitness Boot Camp. It is a great opportunity for fitness enthusiasts to have this type of activity. Rest assured that Eton Centris will always be in support of all Medicard's future endeavors." Maria Victoria L. Santiago, AVP for Centris Operations. Dr. Nicky Montoya, President of Medicard Philippines Inc. , welcomed Eton Centris as the new partner for the boot camp’s fourth season. “With the success of our first three seasons, we feel that it has become our duty to continue the goal of promoting a healthy lifestyle,” he said. MediCard-Meta Fit Fitness Boot Camp, which started in February 2012 at the Medicard Lifestyle Center in Makati, gives participants a chance to challenge and motivate themselves for comprehensive training and high-intensity workouts with proper guidance from and supervision of expert fitness instructors including ABS-CBN’s Biggest Loser coach and Meta Fit developer Jim Saret, together with other coaches. Its success has produced three legs of the program across Metro Manila.